Rescue teams planned to search the waters off Orange County on Sunday for a humpback whale tangled in commercial fishing gear. The whale was spotted Saturday off Palos Verdes in Los Angeles County. Experts with the Marine Animal Rescue (MAR) attached a telemetry buoy before nightfall, but were not able to remove the gear. The whale’s location, late Saturday night, was off Laguna Beach. 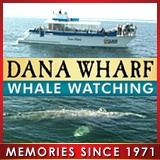 Sunday’s search, coordinated by NOAA Fisheries, was expected to launch from Dana Point Harbor. The rescue effort, coordinated by NOAA Fisheries, was expected to involve the Pacific Marine Mammal Center, SeaWorld and Marine Animal Rescue.